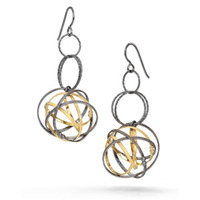 My jewelry designs are a playful reflection of nature’s geometry; beauty that surrounds us everywhere, every day. 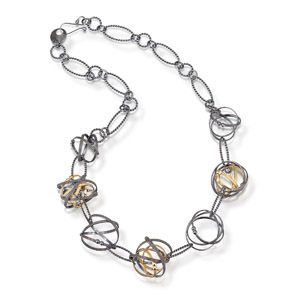 My contemporary, sculptural pieces highlight the contrast between sterling silver and high karat gold vermeil, and can be found in galleries and museum shops across the country. Sculptural, lightweight sterling silver earrings. Approx. 2 inches in length.